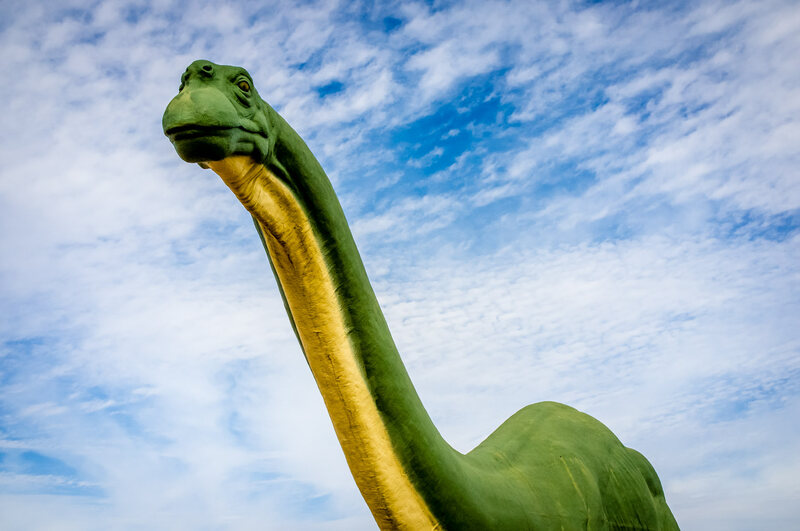 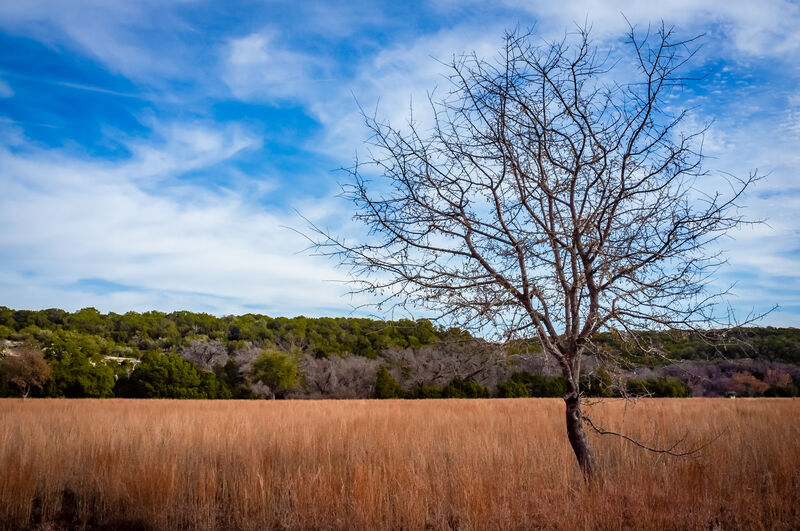 A lonesome tree grows in a field at Dinosaur Valley State Park near Glen Rose, Texas. 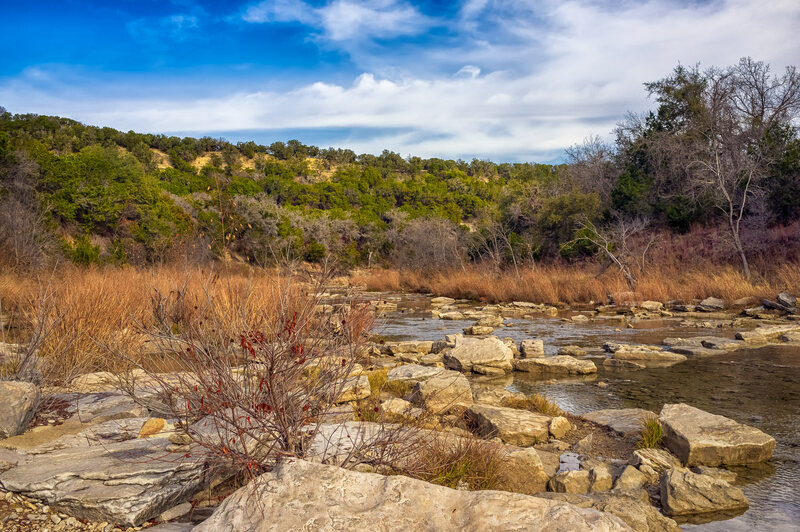 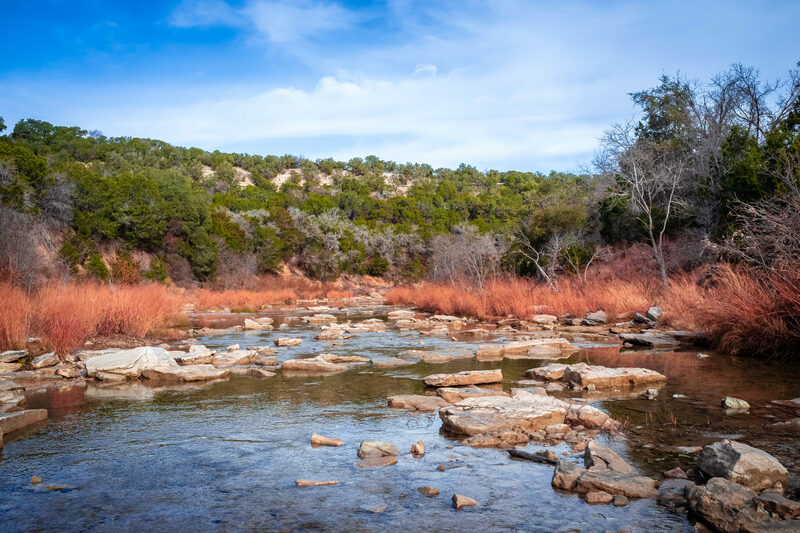 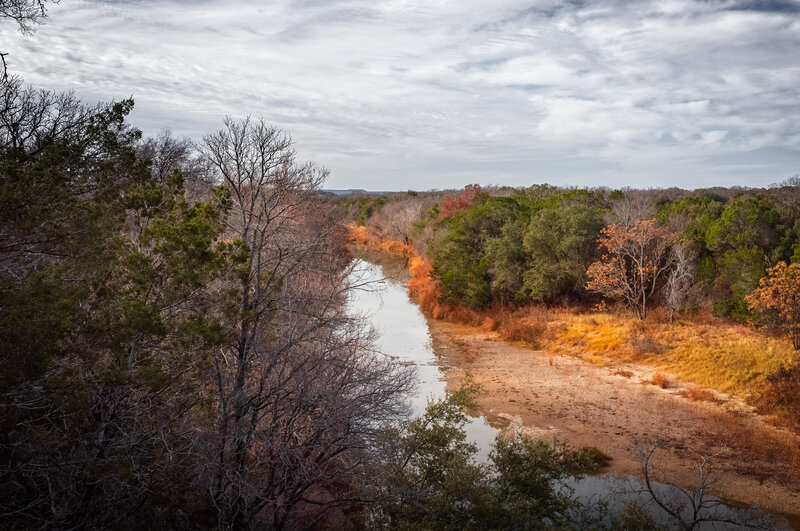 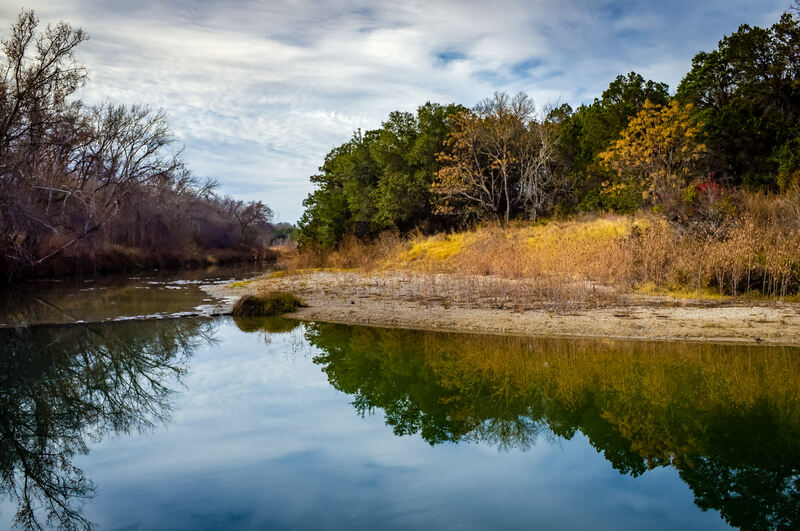 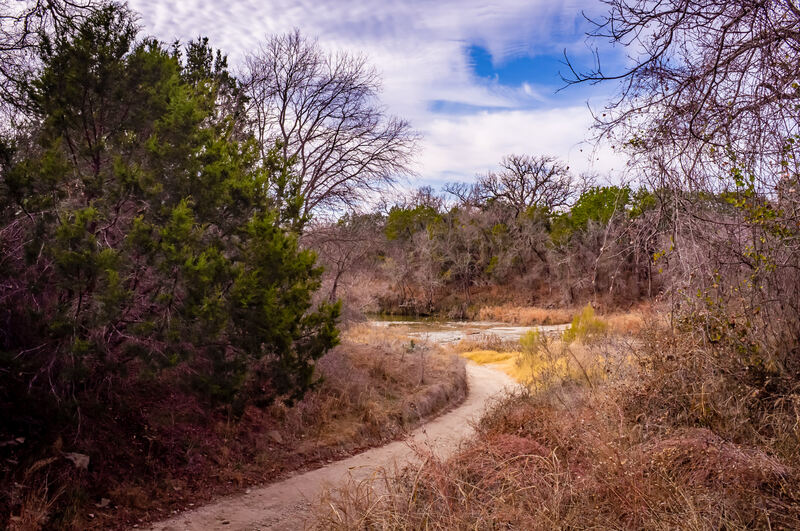 A path leads to the Paluxy River, Dinosaur Valley State Park, Texas. 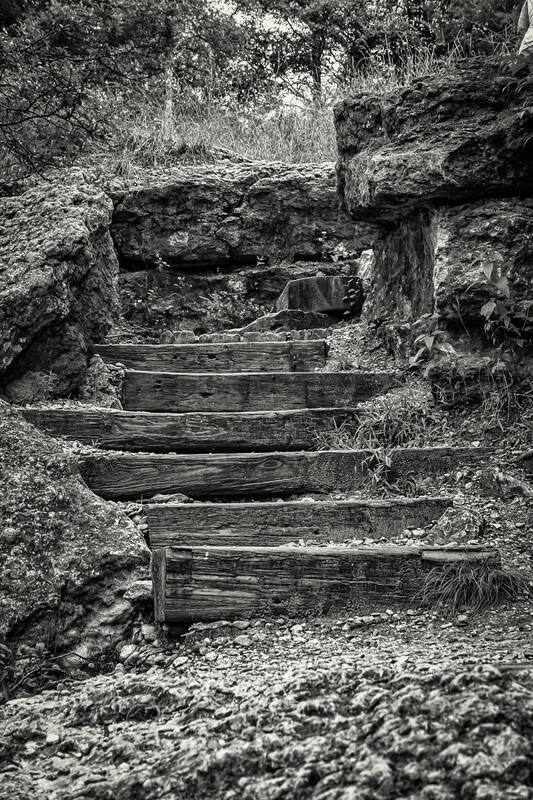 Railroad ties form a staircase at Dinosaur Valley State Park, Glen Rose, Texas.